Well, baking season is well and truly upon us! I know for some of us, myself included, baking is a year round joy but with The Great British Bake Off returning to our screens we turn our attention away from the sunny BBQ’s of summer and on to the falling leaves, cosy nights, tasty home bakes and all the joys of Autumn! 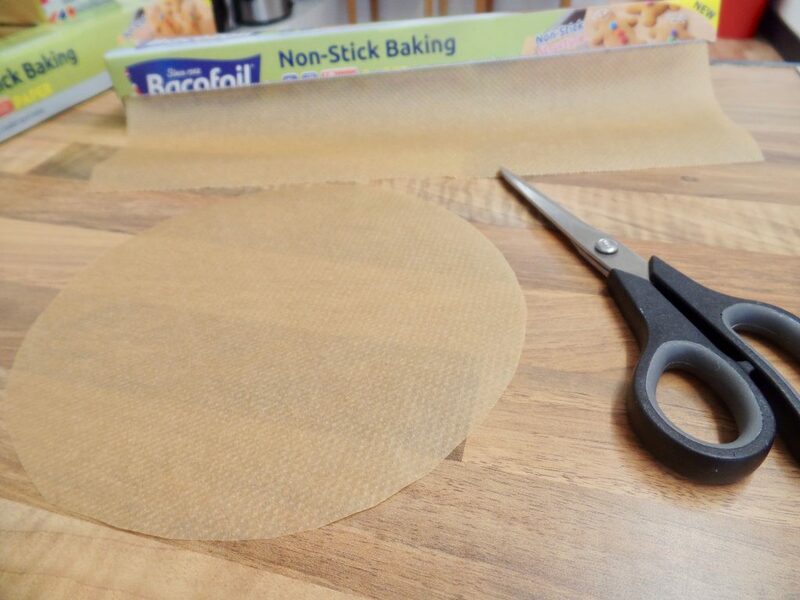 This week, I partnered with Bacofoil® to try out their Non-Stick Baking Paper. I had never used it before but had seen it on the supermarket shelves so I was both intrigued and excited to try it. I wanted to create a recipe that included super sticky ingredients, notorious for sticking to the tin. So I went with three of my favourite flavours; fudge, salted caramel and white chocolate. With all three ingredients included in the cake, I felt it was a good way to put this product to the test! The Non-Stick Baking Paper felt different to other baking papers I’ve used in the past. This is because it has an innovative and unique Non-Stick textured surface – the little dimples on the paper mean there is less surface area in contact with the bake so everything bakes evenly and food just slides off, making cake mess and cookie disasters a thing of the past! It’s also non-stick on both sides which makes quick baking much easier! 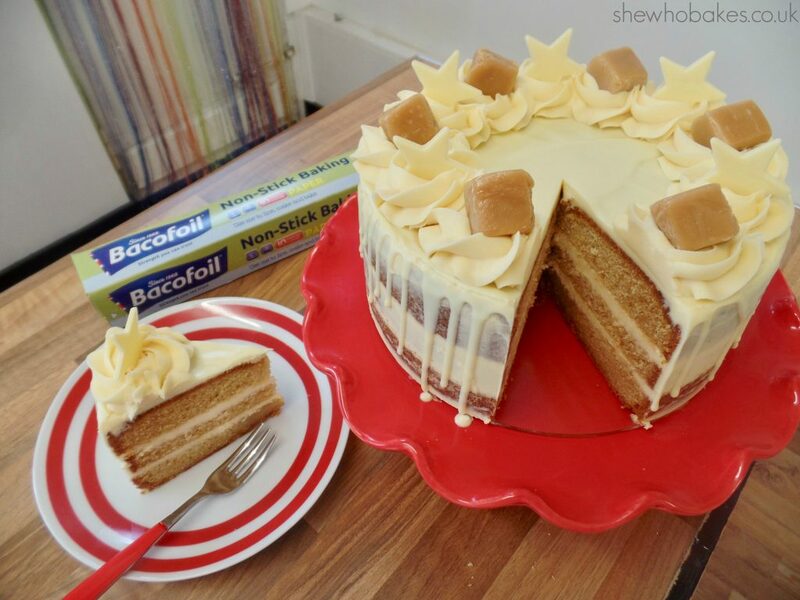 I’m lining my cake tin with Bacofoil® The Non-Stick Baking Paper and as it’s non-stick, there’s no need to grease the tray! This also means it saves on the washing up. Win! For this bake, you have a choice. Depending on how adventurous you feel. 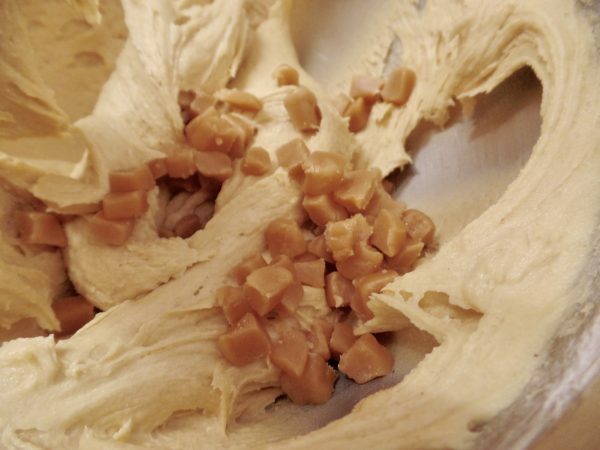 You can make your own salted caramel, which is actually really simple, the biggest worry is not letting it burn, and if you would like to I have included the ingredients and method below. Or you can use store bought salted caramel sauce. The results are the same, so it’s completely up to you! Mix together the water and sugar on a medium heat. Shaking the pan every so often. When it starts to bubble, take it off the heat. Mix in the butter, pour in the double cream and whisk well. Add in the sea salt and leave to cool. 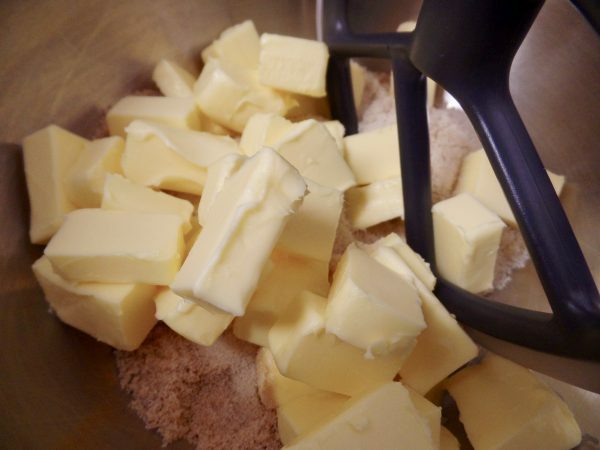 Cream together the unsalted butter and sugar. 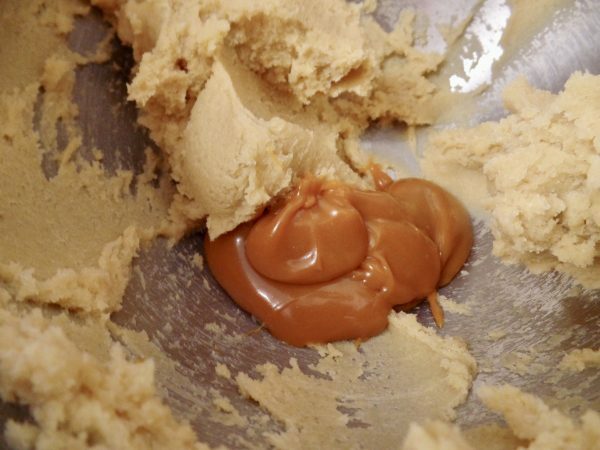 Add in the salted caramel and mix well. Add in the eggs and mix again. 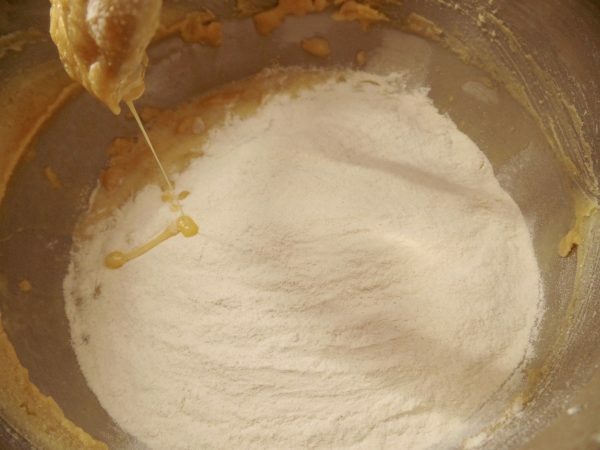 Fold in the self-raising flour and plain flour. Pour in the melted white chocolate and add the fudge pieces. 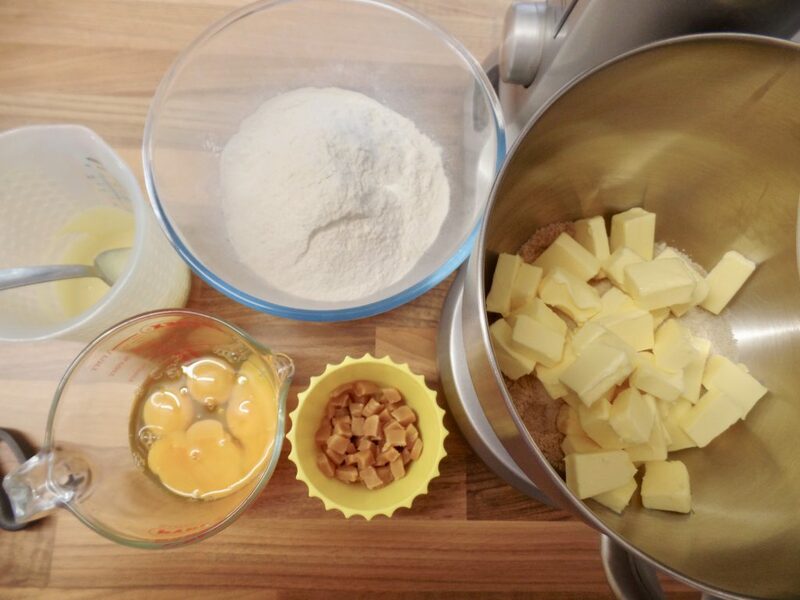 Spoon this mixture into a 8” round tin lined with Bacofoil® The Non-Stick Baking Paper. Tap on the side to get out any air bubbles. Bake at 140C for 1 hour 45 minutes or until it is fully baked and a skewer/cake tester comes out clean. Once the cake is baked, I like to turn it out from the tin soon after removing it from the oven. One of the main reasons I do this is to ensure a nice flat top. If you take the cake out of the tin and leave it to cool upside down on the side (not on a wire rack), then any bumps on the top flatten, leaving you with a lovely flat, even cake to decorate later! 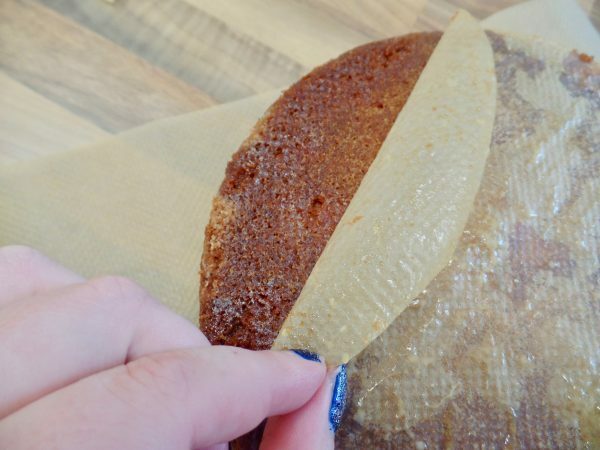 Using oven gloves, as the tin will still be hot, turn out the cake onto a strip of Bacofoil® The Non-Stick Baking Paper on the side. 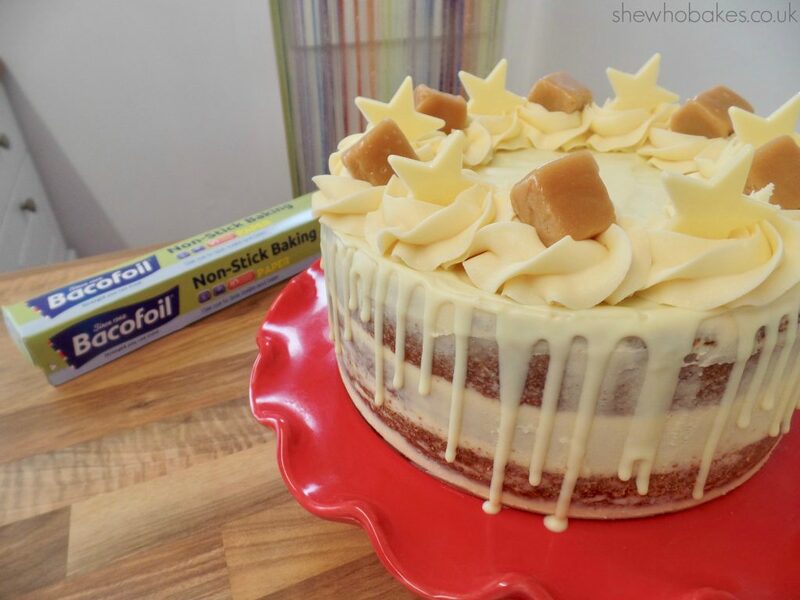 The great thing about Bacofoil® The Non-Stick Baking Paper is that as the paper comes away from the cake so easily, bakes look perfect and nothing sticks to the paper! Leave to cool completely. 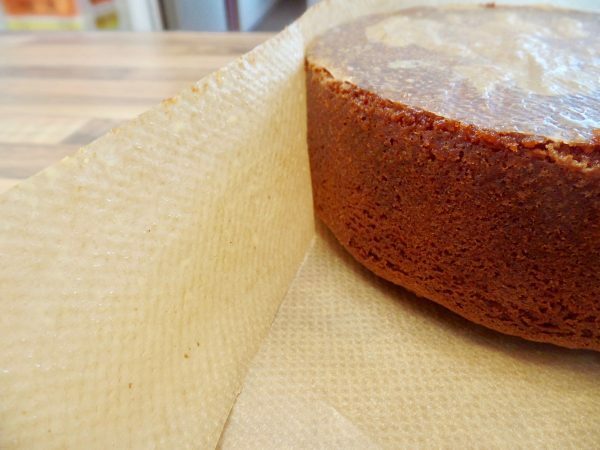 I also like to leave my cakes until the next day before cutting into and filling so once the cake has cooled, wrap it well in two layers of cling film and leave overnight. 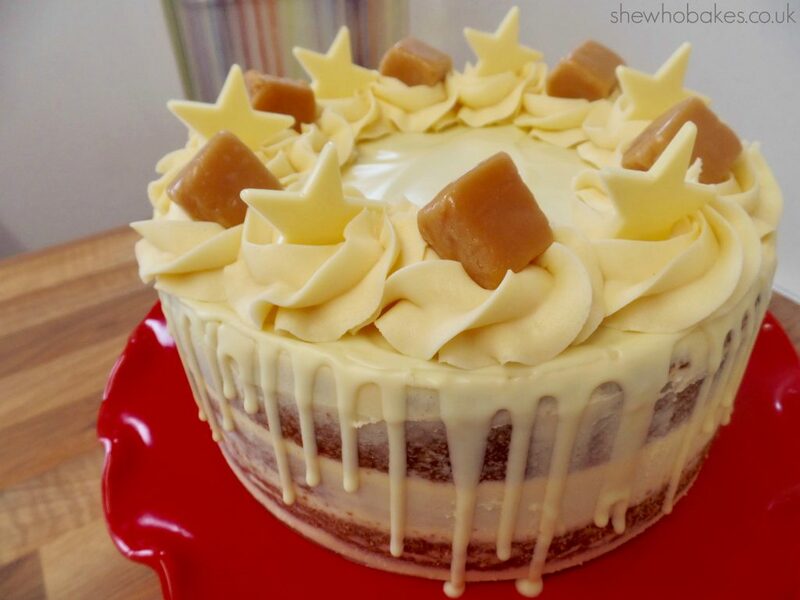 I’m going to be filling this cake with a salted caramel buttercream but feel free to get as adventurous as you like! A chocolate ganache would work just as well, as would a white chocolate buttercream or something else entirely! Cream the butter on its own for 5 minutes. 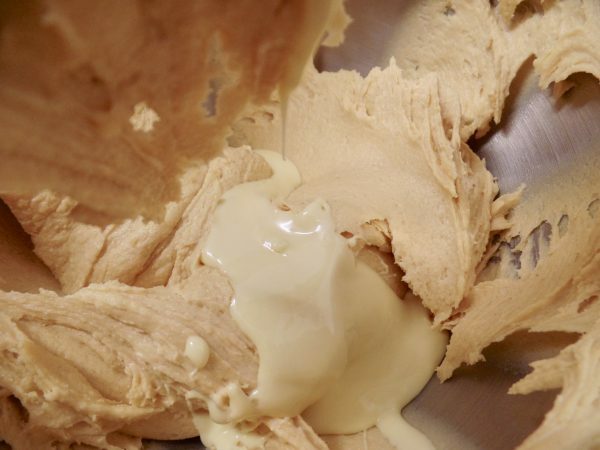 Don’t add in any liquid to the buttercream like water or milk. The salted caramel sauce is all it needs. To split and fill the cake, I recommend to use a cake leveller. They are readily available in cake shops and online. Because I’m using a leveller as opposed to a knife, I feel more comfortable cutting the cake. For this cake, I’m going to split it twice, creating three lovely layers. Split the cake once about a third of the way up and then again halfway between the first cut and the top of the cake. You can measure if you like but I normally do this by eye! Once cut, carefully take the top two layers off and spread your filling. Then reassemble an take off the top layer, adding more buttercream. Then reassemble and chill in the fridge for 10 minutes. 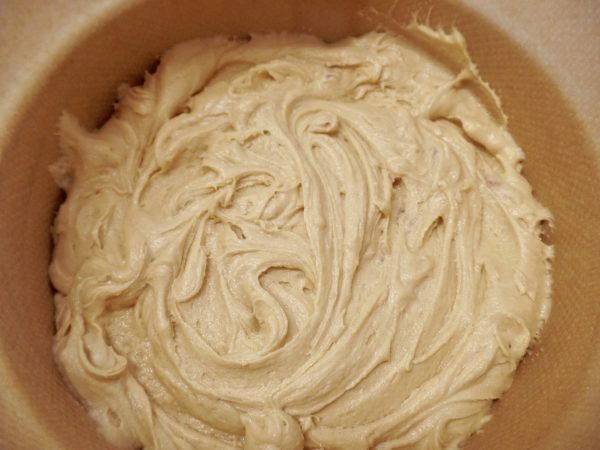 This firms up the buttercream and makes it easier to handle. Once chilled, spread a layer of buttercream on the top of the cake and a thin layer around the sides, creating the ‘semi-naked’ look. To finish the cake, melt a little white chocolate and pour onto the top, using a palette knife to push the chocolate to the edge of the cake, allowing it to drip down. 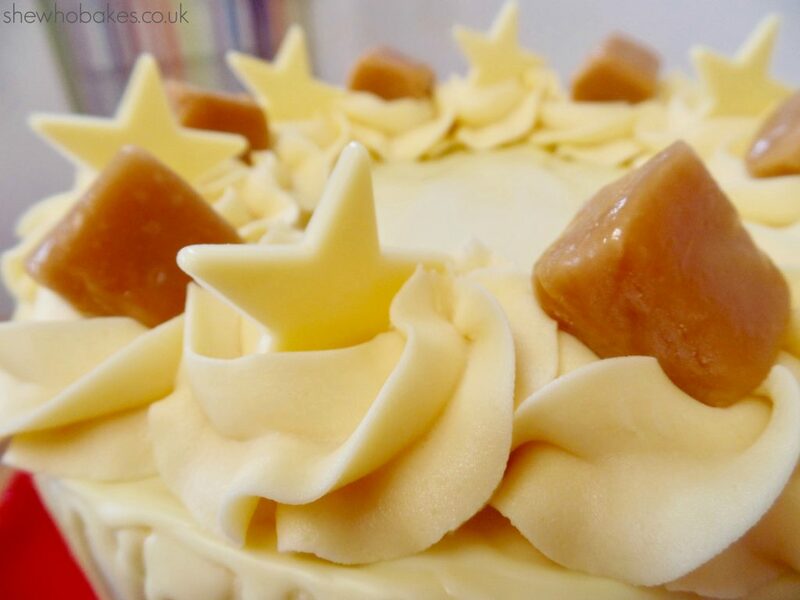 Top with rosettes of buttercream (I used a 2D nozzle), white chocolate stars and more fudge pieces. Leave to set and enjoy! This cake, once baked will last 3-4 days if wrapped well. 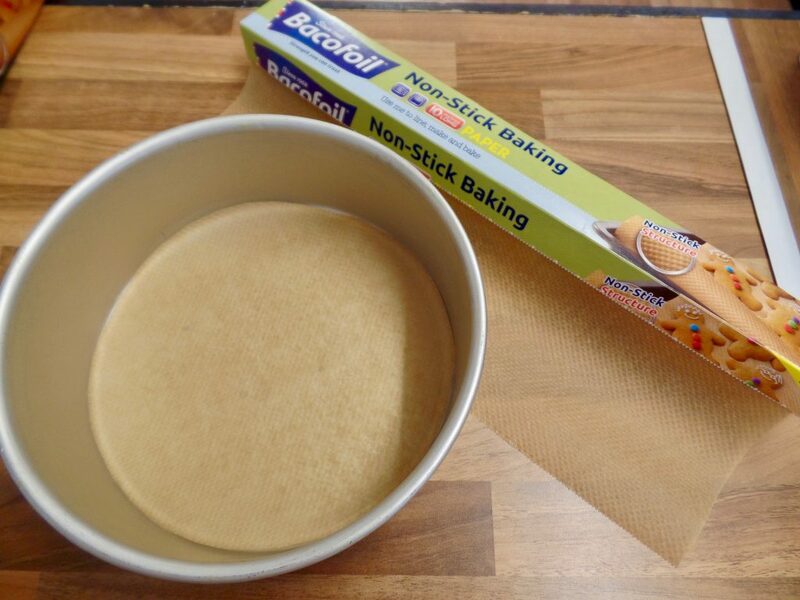 I loved working with Bacofoil® The Non-Stick Baking Paper. 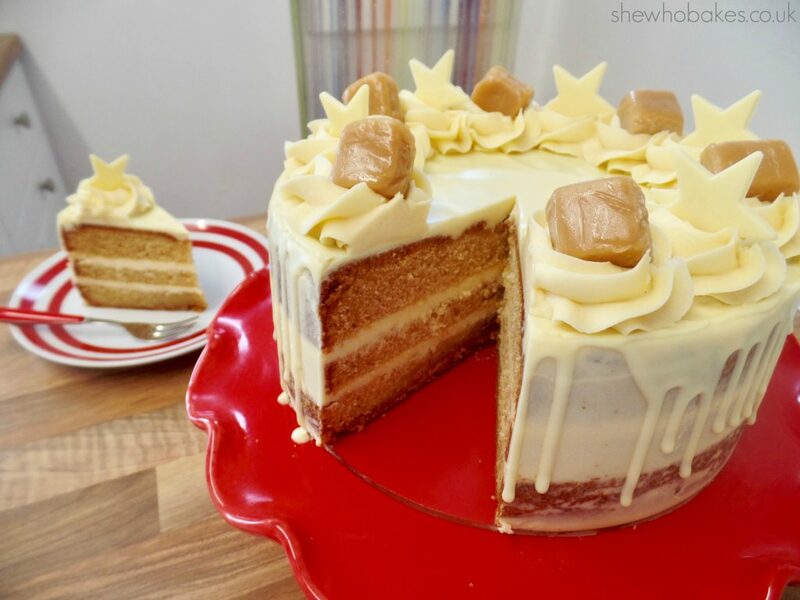 It made making this cake really easy and it’s a great product I will certainly use again! It’s ideal for all kinds of baking jobs – lining, making and baking and for all types of food – savoury or sweet! The next thing I think I’ll use it for is some chocolate chip cookies!! This is a sponsored post in partnership with Bacofoil® All views and opinions are my own.